You would think that there was little harm one could do on a mostly straight report on the emerging details of the Obama Adminstration’s stimulus plan. But it turns out that Peter Baker and John M. Broder managed to find a way. As I say, most of their article on the Obama plan to spend an enormous sum on public works was what it advertised itself: a list of the projects that the new administration will fund in the hopes of achieving both short term job growth and long term return on capital improvements in things like transit and the electric grid, among much else. Sounds so simple, and so obviously right, doesn’t it? The first is that the economy is working so close to full capacity that effort in one sector needs must crowd out activity in another. That is, at full or near employment, or so economists I consulted before writing this post told me, an aggressive public works program would indeed impose an added demand on labor (and other inputs) that could jostle other activities out of the way…but the notion that such expenditures merely rob Peter to pay Paul in a time of high and growing unemployment and a flight of capital from investment is, to put it kindly, misinformed. For historical support for that statement, go back over the recent skirmishes over whether or not the New Deal worked. See e.g. this and this, both from estimable Edge of the American West blog. But the fact that economic conditions change over time does bear on the situation: deficit spending to prevent disaster in a downturn can have, as mainstream economists have understood for a while, a signficant positive effect on future output (see the New Deal posts reference above). Wild unfunded spending on stupid wars and transfer payments to the rich in a bubble-boom, not so much, but this isn’t a post about that. In other words: Viard’s disingenous argument that paying tomorrow for a hamburger today is a bad idea only works if you’ve already consumed enough Big Macs to make you sick. That’s not the case right now, as most of us have grasped — which, among other reasons, is why we are not anticipating the inauguration of President John McCain. Well and good: so far all we know is that Viard is an ideologically blinkered guy doing what folks do who work for shops like the AEI — trying a little spin to influence the unwary. But that’s my point. If Viard wants either (a) to be as simpleminded as the above quote suggests, or (b) to be carefully, accurately deceptive in the way he frames an argument he knows to be weak (take your pick), that’s his look out. What about the Times’s guys? They are the ones at fault here. They fell into the lazy reporter’s idea of “balanced” journalism, where the conception of balance requires only that you transcribe a quote from somebody willing to say something opposed to the prior source’s quote. This is a common enough trap in political reporting — reference any number of stories from the last twelve months. But I think economics writing might be particularly at risk for sloppiness of this sort. Economics is technical enough for the detailed analysis behind claims to be beyond most non-economist reporter/writers. It is uncertain enough, incomplete enough as a discipline so that dissent and argument is not just plausible, it’s required. But that still doesn’t mean you can just let any nonesense fly by. Most reporters covering complex subjects — all science writing for example, most medical reporting and so on — know less about the technical issues within any particular story than their sources will. The solution is the same as it always is. Get a reality check. Call someone. I’m no journalist. (I was once, of the cub variety, but I haven’t committed serious reporting for decades). But I work at a place with a pretty good econ department, and it wasn’t hard to pick up the phone and the email cursor and ask a few people some questions. Total time involved — about ten minutes to put the word out; return of answers within a couple of hours. All deadline-friendly, in other words. The rub of this all is that there are some very good econ reporters out there. The Times employs one of the best of them in David Leonhardt. He would have known that Viard was blowing smoke. That the two writers on this story did not would still have been o.k., if they had merely done what reporters used to do as a matter of course: get a reality check. Call someone who actually knows more than you do. Just ask if the claim makes any kind of sense. To put all this another way: the two reporters on this story ought to have been alerted to their problem by the internal evidence of their own quote. Viard’s statement, if true, is too obvious to have escaped smart people like Obama’s advisors — the Goulsbees and the Summers of the world. If stimulus can’t work, if there is the kind of law-of-nature certainty that deficit spending defeats itself then, now, and always, then you would easily be able to find both economic-historical evidence and lots more heavyweight folks to say so than some guy flacking for a partisan “think” tank. No? Maybe, just maybe then, you’d think there was a problem here. Why oh why can’t we have a better press corps? 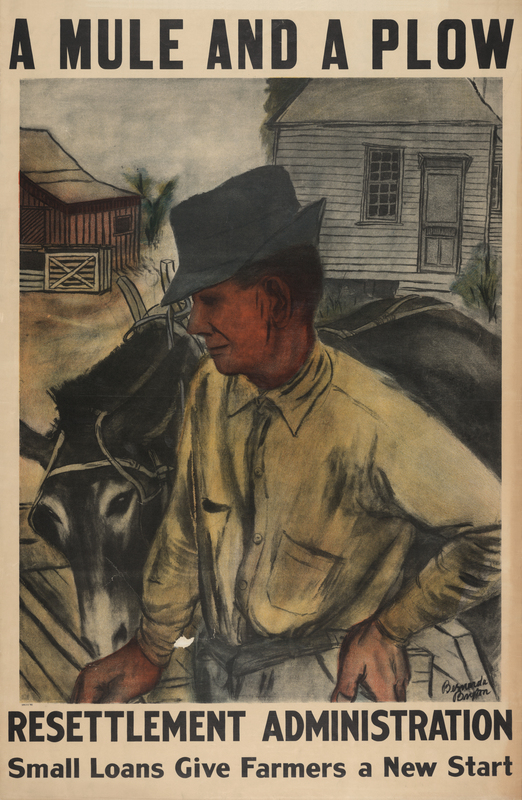 Image: Bernarda Bryson Shahn, “A Mule and A Plow,” poster for the Resettlement Administration, c. 1935-1937. Ambinder had a true howler today, one not picked up, so far as I can find on a quick search, as it should have been. In what he billed as “The Daily Racism Debate,” Ambinder chided Barney Frank for having the temerity to suggest that the GOP and its allies might have had a racist edge when they blamed lending under the Community Reinvestment Act for the collapse in the housing market, and hence for the global financial crisis that we now endure. Had it not been for the Community Reinvestment Act and the cheap mortgages provided by Fannie and Freddie, a lot of poor, black people wouldn’t have homes. Quick sleight of hand notice here: Freddie and Fannie got Bush administration to meet affordable housing goals by buying up subprime mortgages; far from being a consequence of CRA rules, the two F’s exposure to the riskiest class of loans was increased as a part of mendacious and incompetent administration’s attempt to avoid the messy business of housing the poor. But a lot of poor white people wouldn’t have homes either. So it’s classist, more than racist, if it’, indeed, is motivated by prejudice at all. This is, of course exactly what Frank said: see above. He noted that the fact that some poor people are black is a feature, not a bug, for a campaign now increasingly obviously playing the “not-like-us” card to a crowd primed to react to the blast of the race dog whistle. At the same time, it might speak to the recklessness of Democratic policies, well intentioned or not. Well it would, if the policies were in fact reckless; i.e. 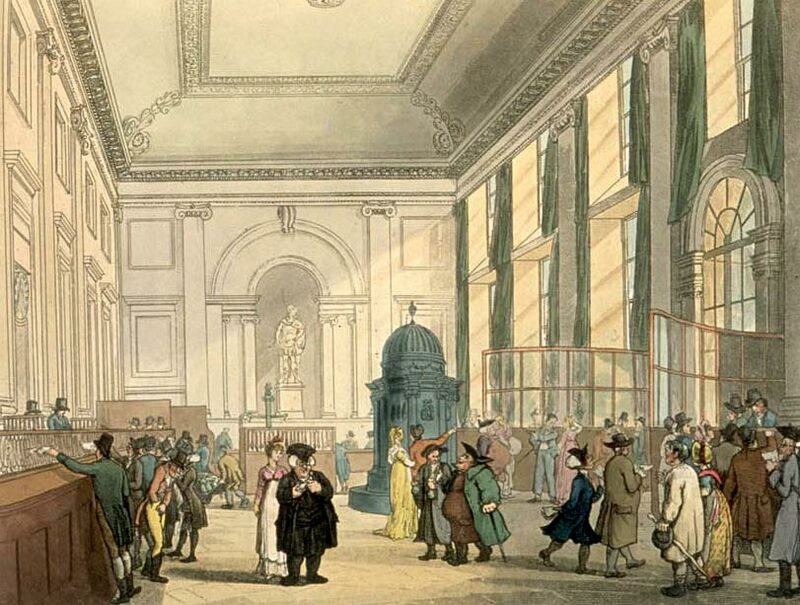 — a significant contributor to the financial crisis. Except, of course, they were not, at least when grown-ups minded the store. See below for more on this. Many of people can’t afford their mortgages, and the entire country is paying a price. Hence the anger, which crosscuts with latent racial/culture biases. Yes, fine: but why do all these people have mortgages that they cannot afford? Well Irvine Renter can give you chapter and verse on the incentive structure that led some people through folly and or deceit to borrow way beyond their means. (This particular quote comes from the 2002 Berkshire Hathaway Chairman’s letter to shareholders. 2002! That would be GOP controlled White House and, after Nov. both houses of Congress 2002, in case you were wondering. This disaster was not a surprise to those paying attention). Ambinder’s fellow Atlantic blogger, Ta-Nehisi Coates, has written several posts on the leap on the right to what he calls, rightly, the “Blame the Negroes” escape hatch, well before Ambinder published his post. The key one is here. If Ambinder had troubled to read his colleague with care, he would have seen a discussion of one of the best available one-stop debunkings of the whole CRA-poor-folk-are-the-problem slander. So let’s recap. Ambinder says, in essence, that Frank was playing the race card when he accused the other side of playing the race card in the argument over who should take the blame for the financial mess. …and hence, second, GOPers and the McCain campaign itself, are in fact playing to the worst of our national psychoses, as, with their now famous wink, they blame the irresponsible poor, many of whom, as Frank noticed, just happen to be black, for taking and defaulting on loans that — they alledge — would not have been made hwere it not for the dasterdly CRA. That is: Ambinder’s chiding of Frank for telling the truth echoes, perhaps amplifies, the very wound that Frank is trying to excise from our body politic. To echo the source on this kind of post, Brad DeLong, why oh why can’t we have a better press corps. 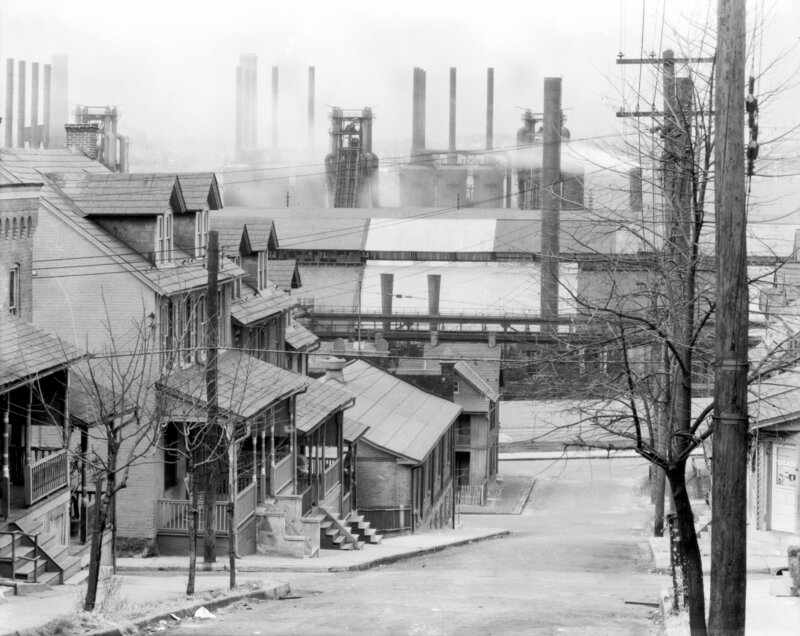 Image: Walker Evans, Bethlehem houses and steel mill. Pennsylvania, Nov. 1935. This image is available from the United States Library of Congress‘s Prints and Photographs Division under the digital ID fsa.8c52905. Source: Wikimedia Commons. I have the very good fortune to call the wonderful writer and generous artist Junot Diaz my colleague (and friend). A week or so ago, he gave a reading from his now famed-across-the-galaxy novel, The Brief Wondrous Life of Oscar Wao at MIT — it was kind of a homecoming after roughly a year of travels and talking in support of the book. In introducing Junot to the crowd (and the world — the reading will be up on the MIT World site in fairly short order) Professor James Paradis, head of MIT’s writing program, pulled out one of the less well-known bits of Junot’s work, the 2001 edition of The Beacon Best collection that he edited. Paradis read a short passage from Junot’s introduction, and the quote so precisely catches the necessity of vigilance and the importance of art — never more vital than at those times when the self-styled “grown-ups” have so decisively lost their way. For the last couple of years I — a former five pages a day type guy — have not been able to write with any consistency. The reasons for my “block” are numerous and not particularly relevant, but as a result I’ve had more time to read newspapers and watch television, more time to notice how the world is being represented by those whom we shall call for simplicity’s sake the powers-that-be. I’ve been aware since about the Reagan administration of the gap between the world that they swear exists and the world I know exists. What I hadn’t anticipated — I guess I should have been reading more Chomsky — is how enormous that gap had become. During the last week of the anti-privatization campaign, when Edison and the Board of Education and the media and the politicians were turning up the heat, I would occasionally feel myself losign heart. (There’s only so much exposure to the Official Story one can take before it starts to wear on you.) I was very fortunate, however, for it was at this same time that I was reading these stories, these essays, these poems. While those of us against privatization were being knocked about in newspapers and on the news, while we were being erased and distorted into cartoons, I was sifting through journals, printing pages out from e-mail, thumbing through blurred photcopies. Would you t hink me sentimental if I said that the freshness and originality and humanity of these writers and their work renewed me? When billions and billions of dollars are spent trying to convince you to see the world in one particular way, isn’t it something like salvation when you discover voices, brave and unwavering, who invite you to see it in another way? Image: Jan Davidszoon de Heem, “Still-Life of Books,” 1628. Source: Wikimedia Commons. Republicans Unclear on the Concept. Read Pelosi’s offending speech for yourself and tell me that this is too much for grown men and women to bear. Update: dialogue fixed thanks to commenter and occasional guest blogger (more please) Michelle Sipics. Isn’t this how it is supposed to be? You hand over cash, you get something other than worst of somebody’s paper in return? 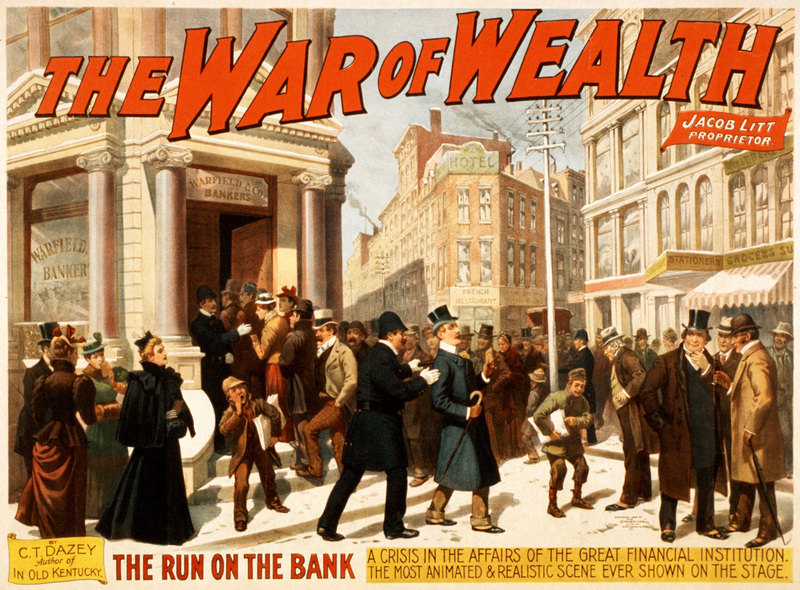 Image: Poster for the “War of Wealth” by Charles Turner Dazey, a play that opened February 10, 1896. Source: Wikimedia Commons.